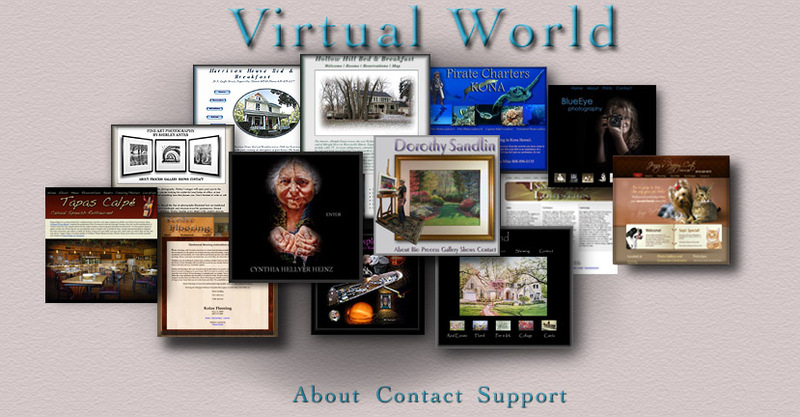 Virtual World specializes in unique website design and custom graphics. We put great emphasis on understanding your work or product and displaying it in a way that represents how you would like it conveyed. These websites were designed with specific budgets in mind. They range from a few hundred to a few thousand dollars, depending on the amount of original graphics, photographs and text required. We will also position your website in the top of the major search engines. Please feel free to contact the owners of any of these sites and ask them about their impression of us. Click on the image above to review each web site.